Our good friend Megan Kelly from @realistic.holistic put together this amazing recipe using NIKU Farms Grass-Fed, Grass Finished Beef. What we love most about this Chimichurri Meatball recipe is that it’s perfect for those who are following the autoimmune protocol (AIP), GAPS, paleo, gluten-free, dairy-free, egg-free or are just looking for a delicious healthy meal. We highly encourage you to visit Megan’s blog to see more amazing recipes. You can make this recipe using beef from NIKU Farms. 2) Add the swiss chard, one handful at a time, and processed until evenly chopped. 3) Transfer mixture to a large bowl and add oregano, pink salt, pork and beef. 4) Use your hands to mix until well combined. Scoop out a spoonful at a time and form into balls. 5) Heat coconut oil in a cast-iron skillet over medium heat, add meatballs and cook, stirring occasionally, until lightly browned and cooked through. 6) Remove from skillet and drain on a paper towel covered plate. 1) Combine all chimichurri ingredients in your food processor and let process until chopped and smooth. 2) Transfer to a jar or air-tight container and chill until meatballs are ready. 3) When both are finished, serve meatballs on top of cauliflower rice or zucchini noodles with plenty of fresh chimichurri.  Check out all the packages on NIKU Farms that include Grass-Fed, Grass-Finished Beef. Follow our Instagram @nikufarms to stay tuned with new recipes, and share your recipes on Instagram.